A car fire on the M55 meant police closed the road while the blaze was put out. A car fire on the M55 today meant police closed the road while the blaze was put out. 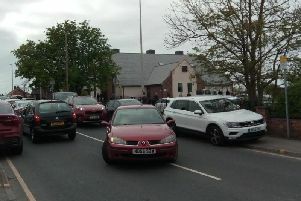 A Lancashire Road Police spokesman said: "The driver and young child fortunately got out of the car to safety. "Apologies if you were caught up in the tail back as the road was closed for fire and rescue but we opened it as soon as possible."